Barbara Abbott, secretary to the Ashes Playing Field Trust, has been recognised for her decades of services to Howden. 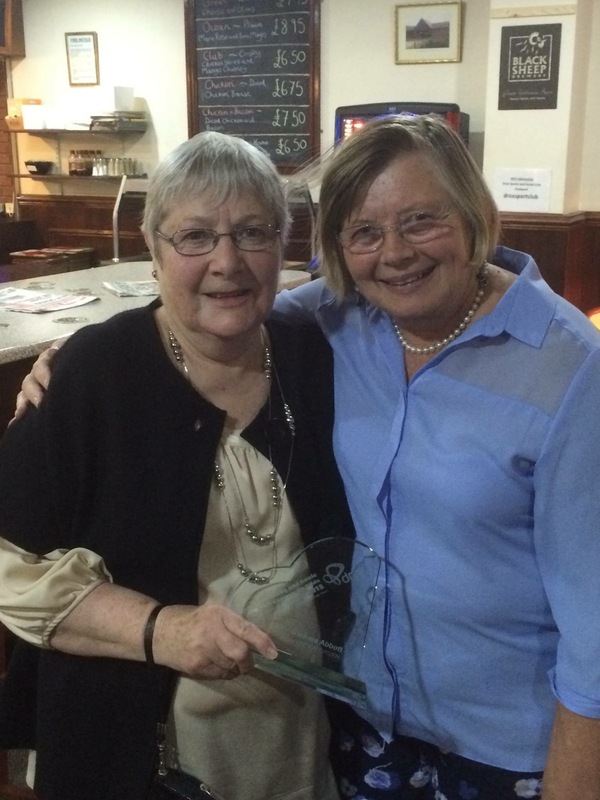 Barbara, left, is seen pictured with her very close friend and former Ashes Playing Field Trust chair Wendy and the award. And at the ceremony on Thursday November 12, held at Drax, Barbara was named as the 2015 winner. Chris Dalton, chairman of the Ashes Playing Field Trust, said: “This is thoroughly deserved after being secretary for the Ashes Trust for the last 25 years.